Nowadays: Kassy is no longer active in Japan Entertainment Industry. Last year, he created an official Weibo account in China. He has also expressed interest in screenwriting and photography. Facts about Kassy: Takashi Kashiwabara was labelled as the last pretty boy of the 20th century. Despite his gorgeous look, Kassy was widely considered as a supporting actor in Japan. There were only a few jdorama that he acted as the lead actor. He is neither that popular as an actor or a singer. However, he was known for his good looks. Reasons for being selected: Beauty lies in the eyes of the beholder. I was indeed bias towards Kassy. In my opinion, Kassy has a pair of soulful and attractive eyes. He also has delicate features with a mixture of Asian and Western beauty. In addition, he has a mischievous and cute smile too. Many years has passed, Kassy has grown from boyish charm to a gorgeous man. I supposed it is not too much to say that he was simply born to be a ikeman. Nowadays: Recently, he has not been very active in the Japan Entertainment industry. He may have experienced a flopping career for the last two years after he left the boyband "News". There were also scandals of him dating a woman and his involvement in a fighting incident. 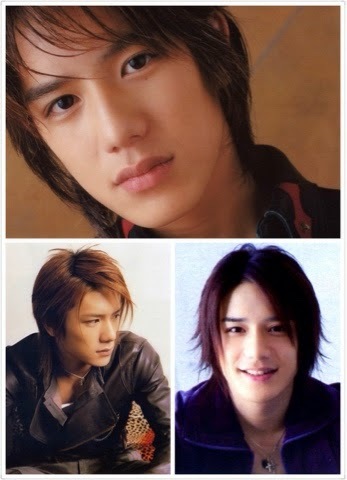 Facts about Ryo Nishikido: He was a member of Johnny Entertainment Boy band "News". Now he is a singer-songwriter Japanese idol that is going solo. 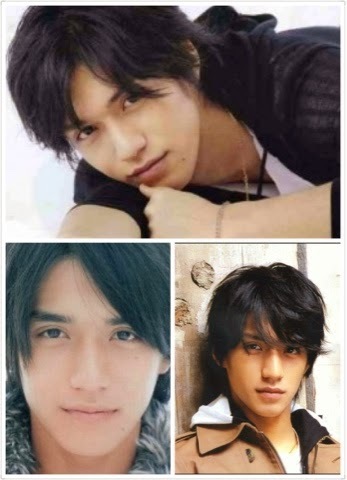 Reasons for being selected: Ryo Nishikido is a charismatic and handsome actor. He has a quiet demeanor that attracts eyeballs. I love his jawline too! Nowadays: Hideaki Takizawa is busy with his theatre performances. He is successful in Japan, being involved with the productions and headlining all the performances. Facts about Hideaki Takizawa: He is part of the duo Tackey and Tsubasa. Reasons for being selected: Hideaki Takizawa has a squeaky clean image. I love his puppy eyes and beautiful smile . He is a Prince Charming in many girls hearts. Nowadays: Furukawa Yuki is very popular in Asia. 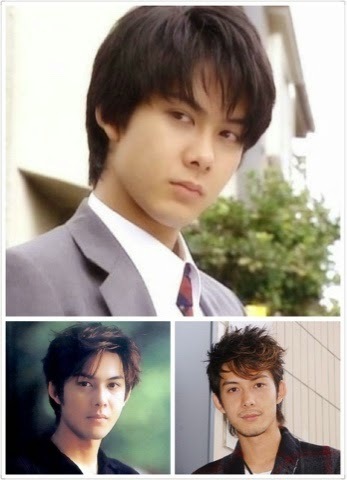 He acted in the new version of Itazura Na Kiss aka Mischievous Kiss, having successfully protrayed the main character Irie Naoki. 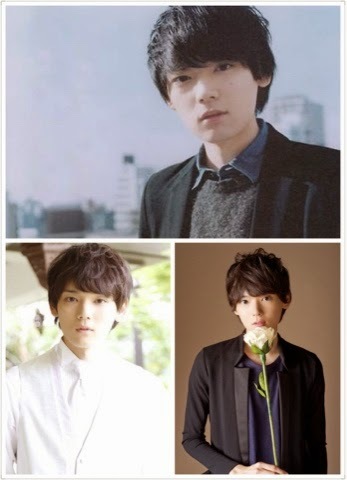 Facts about Furukawa Yuki: He came from a family of professional doctors. It was known that Furukawa Yuki has a good education and family background. Reasons for being selected: Furukawa Yuki has soft and gentle facial features. He does look cute and adorable in certain angle. Nowadays: Kamenashi Kazuya is no longer active in Japan entertainment. He is seldom seen in any activities. 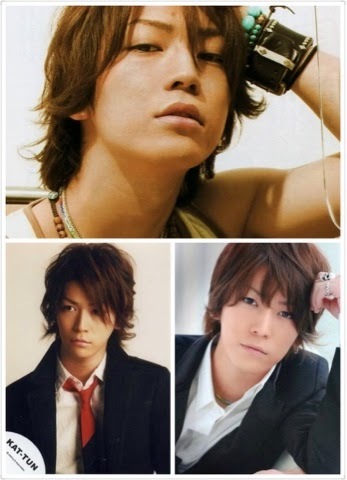 Facts about Kamenashi Kazuya: He was part of Johnny Entertainment boyband Kat-Tun. Reasons for being selected: Kamenashi Kazuya is a charismatic and stylish artist. He is very cool infront of the camera. 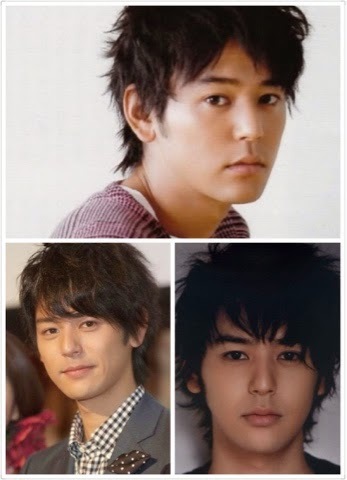 Nowadays: He is Japanese Top-notch leading man in Jdrama. Recently, he became a father and a family man. 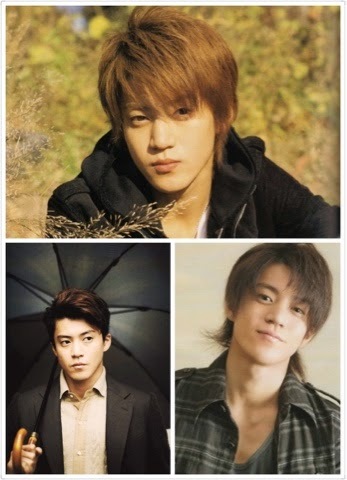 Facts about Oguri Shun: He is a well known "player" in the entertainment industry. There were many scandals about his infidelity. Reasons for being selected: He has a well crafted jawline and fine features. Many ladies fall for his handsome face and tall build, that includes his actress/model wife Yamada Yu. Nowadays: He has not being very active in Japan Entertainment Industry. 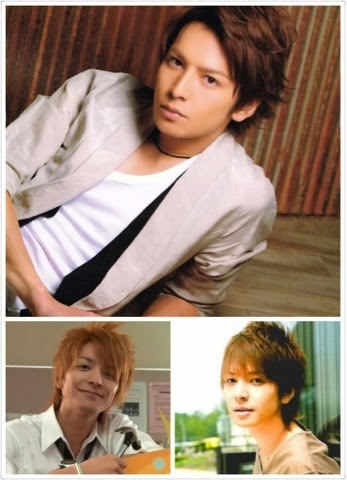 Facts about Toma Ikuta: He formed a group called Four Tops. His younger sibling is Ryusei Ikuta. 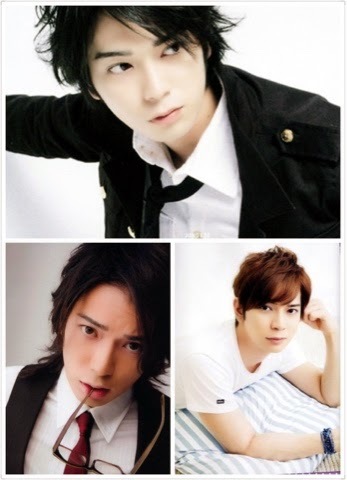 Reasons for bing selected: Toma Ikuta is a cute and adorable actor. I love his bright smile and his sunshine personality. Nowadays: He is still the King of jdrama, even though his popularity has declined over the years. In his personal life, he is a family man and a father of two. 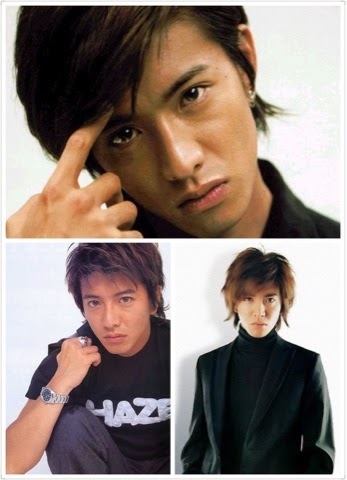 Facts about Takuya Kimura: He is a member of Johnny Associate label boyband "Smap". Reasons for being selected: He is stylish and cool. His portrayal of a smart pilot left a deep impression on me. There is something charming about this guy which I could not put my finger on. He is simply a ikeman. Nowadays: Masumoto Jun is active in Japan Entertainment industry. He looks more manly now as compared to his younger days. Facts about Masumoto Jun: He is part of the group Arashi and he is the youngest member. Reasons for being selected: He has a special charisma that attracts the attention of the audience. He may not be your typical handsome man, but he is charismatic and stylish. Nowadays: One of Japanese most sought after actor. He has been recognized for his acting skills, especially in recent years. Reasons for being selected: He looks cute, down to earth and resembles the boy next door. Recently, Satoshi Tsumabuki has aged gracefully and is still looking good.